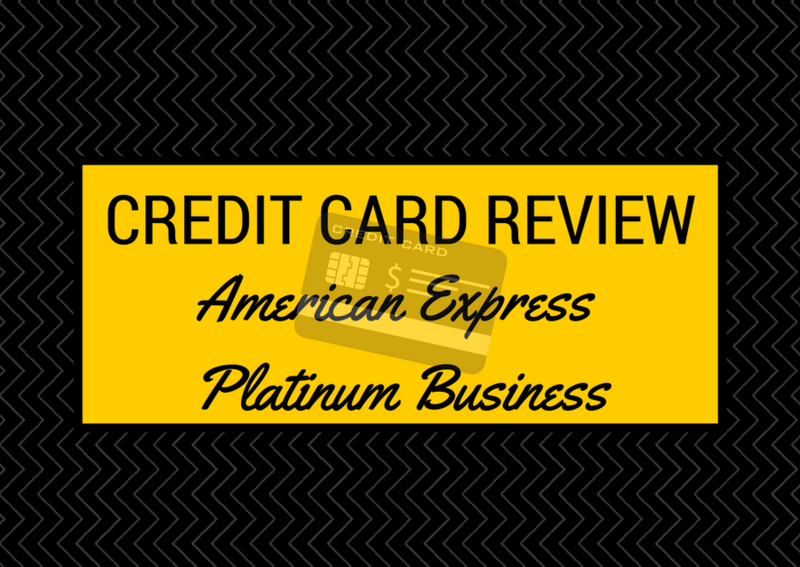 I have covered off other Membership Rewards (MR) earning credit cards from American Express with the latest being the American Express Platinum so today I am reviewing the business variant of the Platinum card, the American Express Platinum for Business. If you only collect Aeroplan, you are beholden to that program which gives you a lot less flexibility than if you had access to 6 different programs to transfer to. Much like your personal financial portfolio, you need to have diversity in you points programs. Can I Sign Up For A Business Card? The first thing anyone says me when I recommend this card is “I don’t have a business … can I get this card?”. The answer here is yes. Literally, anyone can have a sole proprietorship which would qualify you for the business card. And while every card issuer is different, American Express does not require you to provide a business license or any other articles of incorporation. I mean, if you think about it, many sole proprietorships do not officially register their businesses. As many new businesses don’t have a credit rating, AMEX uses your personal credit history as the measuring stick for whether you qualify for the card. My first AMEX Gold Business Card was under the business name “Jayce Loh” so you too can open a business card with American Express. If you sign up for the American Express Platinum Business card using the regular sign up, you will receive 40,000 MRs. If you sign up using my referral, you receive 60,000 MRs (link at bottom of article). That’s a 20,000 difference. That is a HUGE difference. Now with the business variant of both the Gold and Platinum, you have a bit of a high hurdle when it comes to spend in order to receive the sign-up bonus. You need to spend $7,000 in the first 3 months of the card to receive the bonus. I personally would suggest that you get both the Gold Business and the Platinum Business but you need to be smart about it so that you can be sure to meet your minimum spend requirements. Spending $7,000 in 3 months ($2,333.33 per month) can be a challenge for those who primarily use the card for personal expenses but is still possible with smart planning. You’d want to apply for the card a couple weeks before large payments such as electronics, jewelry, home renovations, annual car insurance payments, or property tax payments. Other large payments you may be able to use third-party processing services like PayTM and Plastiq for a fee. But if it means achieving minimum spend for a 60,000 bonus, paying 2.5% on $2,000-$4,000 is a smart investment. If you’re not sure what you will be purchasing, getting the new card before birthdays, anniversaries, holidays and trips are not bad ideas. And if you are still running short on the minimum spend, you can always pick up a $500 prepaid VISA/Mastercard from the grocery store to use later at your pace. The annual fee for the card is $499, which is amazingly low for the number of MRs you would receive. If we look at it at a Cents Per Mile (CPM) perspective, you are earning at $0.0083 per point or 0.83 CPM. My personal goal is to earn points at less than 1¢ per point and this well exceeds that threshold. In short, this is an excellent card to have if you are looking to collect points. As with the American Express Platinum Card, you receive 1.25 points for every dollar you spend. So that means you would have and additional 6,250 MRs from meeting your minimum spend requirements PLUS the sign up bonus of 60,000 MRs, giving you a grand total of 66,250 MRs. You are also only 13,750 points away for travel for 2 to Mexico or Central & South America in economy. That’s amazing! All for $499 in an annual fee. Unfortunately, there is no Annual Travel Credit as seen in the American Express Platinum card but the annual fee is so low on this card that it almost doesn’t even matter. 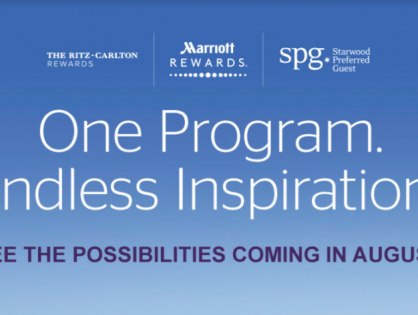 Fine Hotels and Resorts Program – Enjoy exceptional amenities around the globe with access to more than 700 properties thought the Fine Hotels & Resorts Program. Special extras may include upgrade to a higher room category at check-in (based on availability), daily continental breakfast for two and a guaranteed 4.00 p.m. check-out upon request. With the American Express Platinum Business, you will have Priority Pass Select access, meaning that you and two guests can get into Priority Pass Lounges for free. Any additional guests are charged $27 USD. Priority Pass has a HUGE network of lounges so this benefit is quite useful, especially if you are traveling in economy and don’t have access to a lounge. For a full list of lounges that you have access to, visit https://www.prioritypass.com/en/airport-lounges. As an added bonus, you also have access to Delta Sky Club Lounges. The insurances provided by this card are top notch as well and very similar to the Personal Platinum coverage except that you do not have Emergency Medical coverage, which can be a dealbreaker for some. More details about this and other cards’ coverages can be found in my Comprehensive List of Credit Card Insurances by Card. Personally, I find this card to be irresistible based on the huge sign-up bonus as well as the other benefits of the card so if you plan on signing up, I would highly suggest you use my referral link as you receive 20,000 more points than if you use the public offering. The public offering for this card is 40,000 Membership Rewards after you meet the minimum spend on the card ($7,000 in the first 3 months) but if you use my link, you will get 60,000 Membership Rewards points. If you plan on applying for this card and you would like to help out the blog, please use the link below. If you don’t find this post or the blog useful, feel free to search out the sign up from American Express directly but please leave a comment below to let me know why so that I can improve the blog for the future. I think you’re posts are fantastic. I’ve been reading your work for the past week. I notice there might be an error in the Priority Pass text – I was actually looking at this card this morning. Priority Pass Worldwide Airport Lounge Access14 Access to airport lounges around the globe, regardless of your choice of airline or class of ticket. The $99 USD annual fee is on us and each lounge visit costs just $27 USD per person. Thank you for your comment and kind words. To be truthful, I was beginning to wonder if I was reaching anyone but you’ve given me a reason to continue! As far as the Priority Pass goes, I believe you are right. The Priority Pass seems to be only a benefit of the Personal card, though you do get access to Plaza Premium Lounges as well as Delta Lounges for free. Get complimentary access to Plaza Premium Lounges and Servisair Executive Lounges regardless of the type of fare purchased or the airline booked. Lounge access is complimentary for you, your spouse and two children under the age of 21 or one travelling companion. Airport Club Program13 Enjoy complimentary access to the Delta Sky Club® lounges. I will make the change to the post. Thanks for chipping in! Note that the Servisair Executive Lounges gives you a few new lounges in Calgary and one lounge in Montreal, in addition to many other lounges in other countries especially the UK. So this card does not provide centurion lounge access? Unfortunately, the AMEX Business Platinum does not provide you access to Priorty Pass International Lounges (https://www.prioritypass.com/) like the Personal Platinum does, however it does cover the membership fee for Priority Pass so if you want to use their lounges, you have to pay $27 USD a visit. I know. Not great. However, you DO have access to Plaza Premium Lounges and Servisair Executive Lounges (in Canada) regardless of the type of fare purchased or the airline booked. Lounge access is complimentary for you, your spouse and two children under the age of 21 or one travelling companion. Simply show your Business Platinum Card, your boarding pass, and, if requested, government-issued identification for lounge access. If you are flying Delta, you can access Delta’s Sky Lounges for free. The Business Platinum also gets you into AMEX Centurion Lounges regardless of location. In short, the only thing you miss out on is International Priority Pass Lounges vs the Personal Platinum. I’m thinking about applying for the business platinum using your link but I can’t find information on the cost of supplementary cards anywhere. They are all for the cost of Platinum personal card. Hi Dave. Thanks for your patronage. It really does help keep the blog going! The Platinum Card can have supplementary card holders with either Platinum or Gold benefits. You get to choose. Going through the application process I was able to find the supplementary card costs. $175 is for the personal Platinum card, the business Platinum costs $199 for each additional Platinum supplementary card. Are you sure about the hotel status for the Business Platinum? 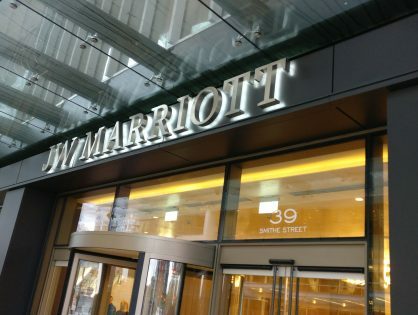 The website and the AMEX telephone system only lists SPG/Marriott Gold and Fairmount as benefits of the Business Platinum. The telephone representative told me that the other hotel programs are only benefits of the Personal Platinum card. See below for link to AMEX Business Platinum travel benefits. Having the AMEX business platimum card, I read that I have access to centurion lounges across USA. Is that right? Can I get in with my wife and 2 kids? Your AMEX Platinum card gets you into all Centurion Lounges. You are able to bring in two guests for free as part of your card benefits. AMEX used to allow for immediate family members to enter for free but they are now limiting it to 2 guests. Additional guests cost $50 though you may be able to sweet talk your way in if your kids are younger. Hope that helps. As of now, I don’t have the personal platinum card, but only the business platinum card… Am I getting the benefits that you talked about? The benefits of the Platinum and Platinum Business are not the same. The benefits for the Platinum Business are listed above but the biggest difference in my opinion is that with the Platinum Business, you pay $27 USD per visit to a Priority Pass Lounge, whereas Personal Platinum holders get in for free. Hope that helps! According to the American Express (Hong Kong) website, one of the benefits on the AMEX platinum is access to World Trade Centre Club Hong Kong. I am just wondering, if the Business AMEX platinum has this benefits as well (i.e. access to the World Trade Centre Club). Do you know? I did a bit of research and I could not find mention of whether or not the Business Platinum would have any access to the club. The best bet there would be to call AMEX directly and ask the question. It looks like this benefit is intended for holders of the Hong Kong Platinum card though I would expect there to be a greater than 80% chance that a US or Canadian Platinum card holder could gain access. Business Platinum … I’m not sure. Sorry. My sincere apologies. I had noted that the Hilton and Club Carlson benefits were part of the Platinum Business when in fact they are only Platinum Personal card benefits. No worries Jayce. When I ran across your blog with that note regarding HH Gold, I thought I’d check with you to be sure, I didn’t miss something or if the Amex rep was incorrect. You just confirmed everything, so thanks for the quick reply. It would have been a nice perk. Amex should extend it to the business card holders. I doubt it costs them much if anything to do so. Oh well. Keep up the good work. Hi Jayce. I am new to your website and am really enjoying it. I am starting to travel more using these three CDN airports: Toronto, Montreal, and Quebec City. Will the Amex Business Platinum give me all I need for free lounge access (and include my wife and 2 kids when travelling with me). In other words, do each of these airports have a lounge that lets me in for free using my Amex Business Platinum (i.e., no Priority Pass from Amex Personal Platinum needed)? Thanks! In Toronto, both the Amex Business Platinum and Personal Platinum will give you free access to the Plaza Premium Lounges for you, your spouse, and two children, or you and one guest. All you have to do is show your Platinum card, which is a more convenient system than having to carry your Priority Pass membership card. Unfortunately, Montreal and Quebec City are only serviced by Priority Pass, so you may want to consider the Amex Personal Platinum if you really want access to the lounges in these cities. Thanks Jayce for breaking it down and making things easy to understand. Just applied via your link. Cheers! Hello. I am Canadian and I would like to sign up for this card to receive the extra bonus offer but when i click on the link it takes me to the American site. The URL looks like a US site but it is most definitely the Canadian card. Just to make sure we are on the same page, the URL you should be clicking on is http://www.pointsnerd.ca/amexreferral. All the cards you can apply to are listed at the top and bottom of the page you are redirected to. Are the MRs attached to that card or to me as an Amex user, in the sense that if I have a Amex Gold and the Business Platinum and cancel the Platinum after receiving the sign-up MRs do they disappear or they stay in my Amex Gold? Thanks so much for all the helpful advice across your site. I’m pretty excited. Used your referral link to apply for a Business Platinum card. Your summaries are greatly appreciated. Just used your link to apply, but got the “give us 7-10 days” after. When is the best time to call them to see if I’ve been approved or not? You can call immediately after receiving the message. The reps will have immediate access to the application and in most cases can push through the application immediately. At least that’s been my experience. You can always tell them that you are in a hurry to get the card so if they can provide you with a decision sooner rather than later, it would be very helpful. Hope that helps. Can’t seem to find your referral link Jayce? Jayce ROCKS! Just got your Amex Business Referral with thx!